Welcome to the information page for the listening bench installed in Basildon, Essex. *Sadly the bench in Bowers Gifford has been vandalised. We will get it working again as soon as the park has been made more secure. In the meantime, you can listen to all of the audio below. Thank you for your patience. The clips currently loaded onto the bench highlight memories of Bowers Gifford, where the bench is located. 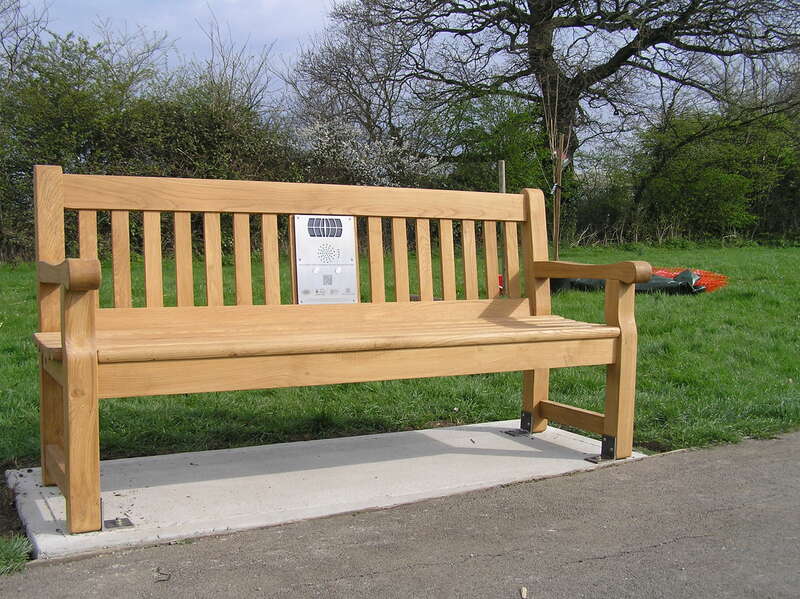 The bench is located in Westlake Park, Pound Lane, Bowers Gifford. This bench was put together by the Basildon Borough Heritage Group in collaboration with the Essex Record Office, as part of the Heritage Lottery Funded project, You Are Hear: sound and a sense of place. The Group aims to preserve the borough’s past for the enjoyment, interest and benefit of future generations of Basildonians. You can find out more on their website, or visit their centre at Wat Tyler Park. Rose Griffin explains how Bowers Gifford got its name, and the history of settlement in the area. John Wernham shares some of his memories of growing up in Bowers Gifford in the 1950s. Mrs Choulds shares her memories of moving to Bowers Gifford during the Second World War. Ted Crudgington’s parents bought a bungalow in Bowers Gifford in 1937. Here he describes the house and childhood memories. Michael Butler was born in 1948 in Bowers Gifford. Here he describes what the parish was like in his childhood. Michael Butler describes further memories of Pound Lane, Bowers Gifford, especially about the rat infestation in the 1960s and Christmas festivities. Thank you for your support. However, we do not know who was responsible for the vandalism. Aside from the fact that they were strong enough to wield a heavy tool to cause the damage, we do not know any more about their age. We are working with the parish council to make the site more secure and then restore the bench back to full functionality. I am really sick to think that some young people can vandalise this talking bench. Don`t they realise that the spoken history on this bench will one day teach their future children a glimpse into the past of where they live, or where their Parents and Grand Parents lived, and how they lived ? Such a shame that today’s children are not told to respect the memories of us older people, as when we die, our memories die with us. Unless these memories are recorded in writing on local history sites and in today’s modern talking benches. These talking benches are a wonderful gift to future generations, as you can just sit and listen to old people talking about how they lived just a few yards from where you are sitting, back in their time.